The baobobs I saw in South Africa were not that fat. 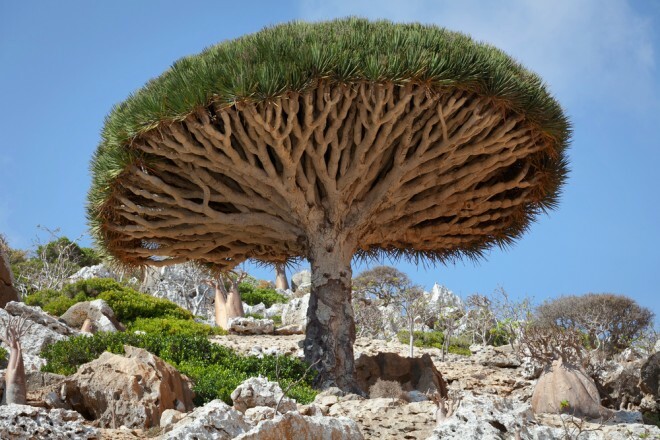 That's a wonderful Dragon Tree. These trees dominated the american woodlands until the early 1900 when they were wiped out by a fungus. Yep, I know about the chestnut. There used to be some nuts left and foresters wanted to reintroduce it by crossing it with an asian chestnut. Oh, that was unnecessarily harsh. I'm sure they are doing their best to get their weight down. Thhe Glossopteroides (Glossopteris seed fern "tree") was the tree that helped us recreate the paleogeography of the supercontinent of Gondwana. 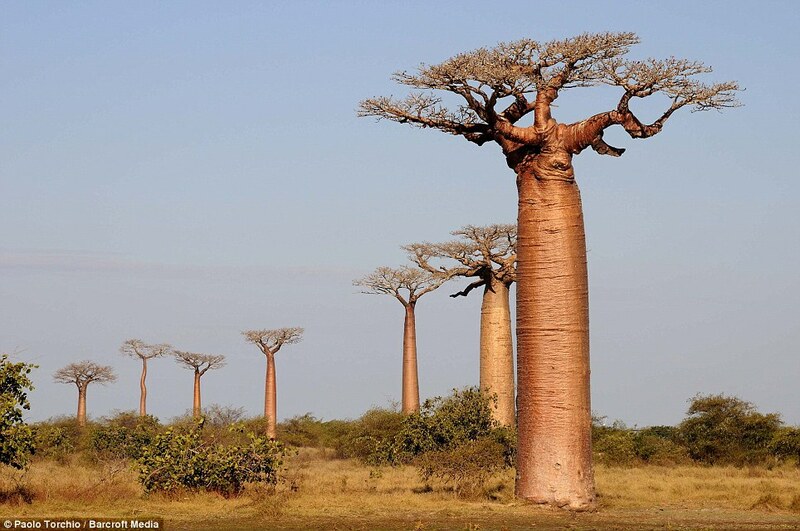 These "trees" had seen their days between the Permian and the Triassic . there are several new "blight free" chestnut strains that have been developed by doing some gene splicing between Asian chestnuts, some "volunteer" American chestnut whips, and another "host tree" that helps in the blight resistance. "Where an old man plants a tree under whose branches he shall never sit"
Of course, I repeat my admonition about all things GM. "We had better employ a better understanding of Dr Mandelbrott and explore the long term effects of anything GM before we just fling it out to the world and then discover later that our good intentions did NOT consider long term negative effects. (sort of like "roundup ready" cisgenes in soybeans has created "Superstrains" of pigweeds and foxtails and some other plants that can smother hay fields with ,toxic or valueless, crap made up of rapid spreading grasses). Pinus longaeva ("long lived" Bristlecone Pine). The oldest living TREE species in the US. Most of the really old ones are kept uner wrap by the DOI because we have lotsa "pigfuckers" who collect Bristlecone wood for "souveniers"
This one is someplace in Az, where Tico keeps a sharp eye on it. I hope that they can one day recover the American Chestnut in its original splendor. The loss of this tree was a devastating blow to an ancient form of woodland which can't really be replicated without it. Those trees produced vast quantities of food (for wildlife as well as people) and prime lumber for building. Their very presence also altered the forrestscape. The Chinese version of the Chestnut produces a very different nut as well as lumber and doesn't dominate the canopy like its American cousin, so I'm not as enthusiastic about cross breeds or genetic manipulation because I really don't think that the resultant variant will be close enough to the original as I wish they could be. I was hoping someone would find something which would kill the blight itself. Possibly a blight virus or something. If the blight were removed from the environment these trees, many of which still live as stumps which start to regrow every year, would recover very rapidly on their own. But I haven't heard of anyone trying to attack the blight, so maybe that's just too hard to do. 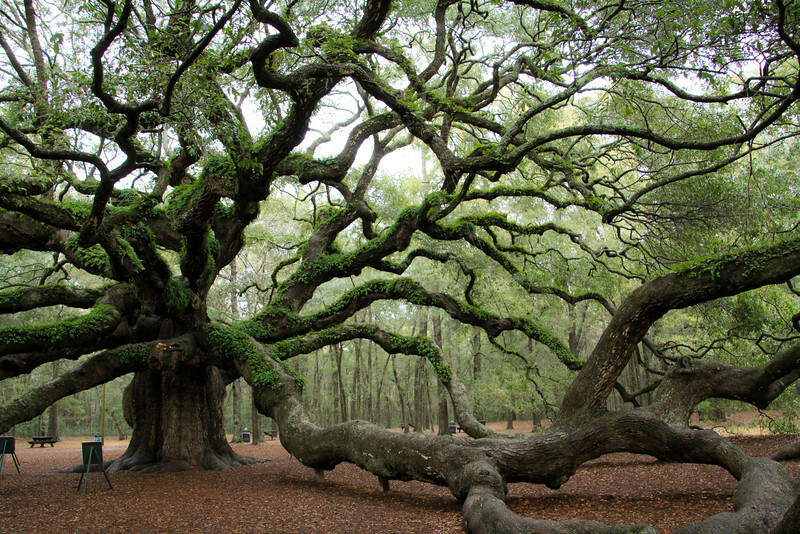 Angel Oak is estimated to be 1,500 years old, and is possibly the oldest tree east of the Mississippi. It stands 65 feet (20 m) tall and its crown covers 17,000 square feet (1,600 sq.m.). Many of its limbs are resting on the ground. Heavy-duty metal pipes support branches high up in the air. 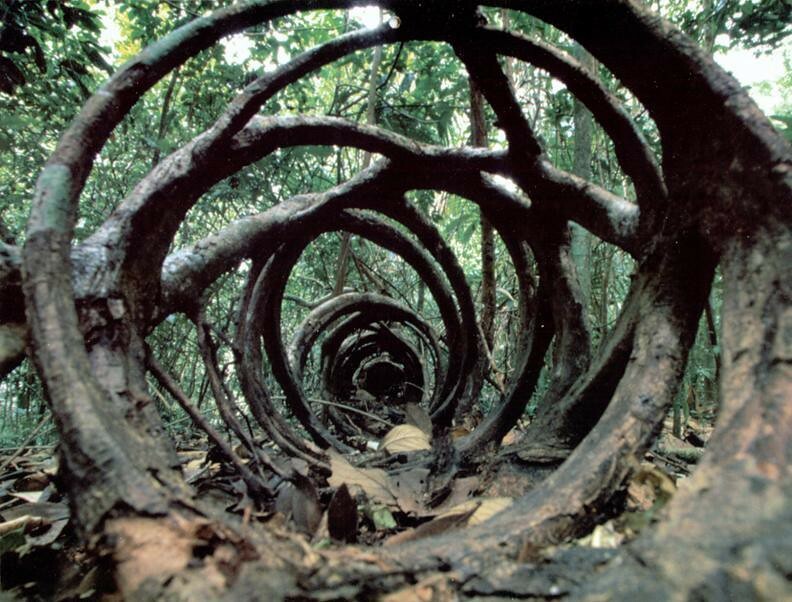 The longest limb extends 89 feet. Code: I was hoping someone would find something which would kill the blight itself. 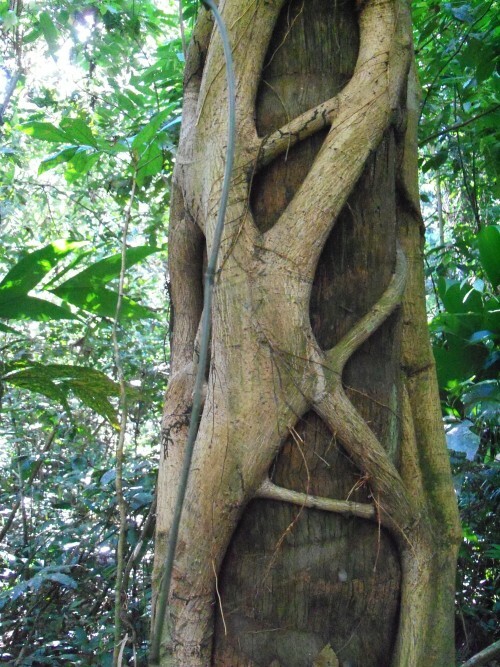 It's amazing to read how those magnificent trees affected the local economies and the general environment. I wasn't around to see it, but my grandparents had stories. I've also wondered if the demise of the Passenger Pigeon was somehow linked to the Chestnut decline. I know that common history explains that people just shot them all to death, and I'm sure that didn't help, but the synchronicity of the Passenger Pigeon decline and the American Chestnut is either meaningful or highly coincidental.